As featured in Alliance for Natural Health International (ANH-Intl) e-alert. 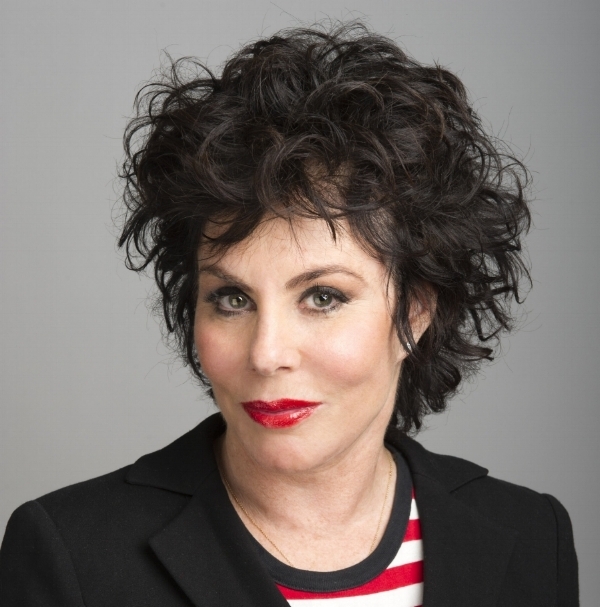 When a dazzling personality like US-born comedian, Ruby Wax, uses her unique brand of humour to challenge the status quo, she understandably grabs attention. In October 2012 Ruby gave a high-profile TED talk that posed the question: ‘What’s so funny about mental illness?’ where she explored mental health and the brain. This culminated in the completion of a Masters at Oxford University in Mindfulness-Based Cognitive Therapy and the rise of an avid activist and poster girl for mental health issues. Not many comedians would take it that far, but Ruby’s own battle with clinical depression is well known, and in her brilliantly funny and educational show and book ‘Sane New World’ she takes it all the way. The show finished its long run at the London Arts Theatre on February 13th. I was lucky enough to see it and meet Ruby afterwards, and was captivated by her ability to distill complex neuroscience into fun sound bites that everyone could understand. In the post-show discussion and mental health workshop she invited me to attend the following week, Ruby put aside humour and focused firmly on the main issue. “The social care ‘safety net’ doesn’t exist”, she said, “and people are falling through the cracks”. No one could question that in light of the damning report from the independent Task Force on Mental Health, out this week, which uncovered wide-scale ‘neglect and inadequate care’. This prompted the UK government to pledge £1 billon in new funds by 2020 to tackle the issue. Will it really reach those who need it most? I’m sceptical. But I do believe that Ruby’s big plan to create ‘walk-in’ centres within local communities around the UK could really make a difference. She believes that only through galvanising public support at the grassroots level can stigma be confronted and overcome, and people get the help they really need outside of the pharmaceutical model. BlackDogTribe.com was founded by Ruby Wax and is run by the UK mental health charity SANE, where you can connect with like-minded people and share personal stories about issues including depression and bipolar disorder. SANE Chief Executive, Marjorie Wallace CBE, attended Ruby’s workshop last week to push the wider ‘Black Dog’ campaign agenda and share positive stories addressing discrimination in the workplace. “The more people we get talking, the more we will be heard“, she said. “It’s not an easy task”, she later told me. “But I have been fighting for this space for 30 years and we have come a long way. There’s still a long way to go though.” Marjorie founded SANE in 1986 in response to her Forgotten Illness campaign in The Times. There certainly is a way to go. One lady in the workshop audience made this evident when telling her story about how supported she had been by her employer and colleagues through breast cancer, to be later shut out in the cold when clinical depression took hold. Her employer ‘bullied’ her into signing an agreement to not pursue unfair dismissal after she left. A recent ANH-Intl article ‘Brain Disorders, now the biggest burden on healthcare’ we show how founder of the Walsh Research Institute, William Walsh PhD, gets under the skin of brain disorders and how to fix them. His insights on how single nucleotide polymorphisms (SNPs) can impact methylation and how the resulting imbalances can be rectified with nutritional interventions offer a lifeline for some, and are potentially life changing – as my brother Ray’s experience testifies. Ray was diagnosed with Bipolar Disorder when he was 38. He was misdiagnosed 10 years earlier with a different condition and put on Risperidone. In his words this left him: “just about existing”. Fortunately Ray had the strength of spirit to wean himself off this drug, and managed to stay in full-time employment throughout. It was some years later after training as a DNALife practitioner that I discovered Ray carries multiple SNPs that negatively impact his methylation and detoxification pathways. He can’t easily metabolise the drugs that were meant to make him well. The resulting ‘side-effect soup’ meant he faced a daily body battle with debilitating symptoms ranging from severe back pain and skin problems to massive weight gain – all within months of taking different drugs. His UK-based National Health Service (NHS) care reached the point of becoming farcical. During one meeting I attended his psychiatrist at the time opened his medication manual and asked me: “Adele, what do you think I should put him on next? We have tried them all. I am at a loss as to what to do.” This was after showing him the DNA test results and marked T3 thyroid hormone drop over 6 months on Lithium. I challenged the prescribed regime using these results and asked for his support to reduce the dosage with a view to coming off the Lithium and other meds as I focused on increasing his nutrient status to improve methylation and detoxification with high therapeutic dosages at the same time as implementing a healthy diet and lifestyle plan. At the beginning of last year Ray was on multiple prescription drugs and by August 2015 weighed in at a hefty 101 kg. Today he is 77 kg, eats a nutritious and balanced diet, supports his SNPs with targeted nutrients, trains regularly at the gym and gets outside in nature as often as he can. He no longer needs to surf the net for unregulated medications that promise to deal with ‘side effects’, because he now only takes a miniscule 100 mg of one drug, Amisulpride, that for Ray, has no side-effects. We realise that without my help he would have indeed fallen through the cracks that Ruby mentions, like so many other vulnerable people suffering daily with mental health issues. Ruby certainly has enough energy to impact public opinion. Let’s hope her ‘walk-in’ service gets off the ground fast around the UK and offers the safety net that will make the difference for those struggling with mental health challenges. It’s time we got more joined-up thinking on mental health and got over the stigma that destroys lives. My brother is winning his life-long battle against mental health issues and shed 25 kg in the past 8 months through following a healthy diet and lifestyle.